CHICAGO, IL — On Friday, January 26, over 300 people from across the Washington Park community and Chicago came together on the 300 block of Garfield Boulevard between Prairie Avenue and Martin Luther King Drive to attend the opening of Eclipsing: the politics of night, the politics of light, a group exhibition at the Arts Incubator, curated by Amina Ross and Justin Chance. After the opening, the crowd spilled into the Currency Exchange Café where they enjoyed sounds by local djs and a special menu created by the café’s staff. Such activity on this stretch known as the Arts Block was another demonstration of the success of the Arts Incubator, home of Arts + Public Life (APL). As an urban institution committed to being part of the community, not simply present in neighborhoods on the South Side, the University of Chicago launched Arts + Public Life in 2011. This was an ambitious step, a commitment to enriching the University’s cultural interactions with local neighborhoods and local artists. Envisioned by artist and professor Theaster Gates, APL fosters creative growth, amplifies local cultural assets by promoting interactions among artists, local organizations, and cultural institutions, and provides youth-focused outlets for creativity through arts education and apprenticeship programs. Arts + Public Life’s celebration of the 5th anniversary of the Arts Incubator, the first project to open on the Arts Block, is a milestone reached through partnerships with artists, residents, and the broader South Side community. In its first five years, the Arts Incubator has attracted 58,000 attendees to more than 1,200 public programs and 45 gallery exhibitions. 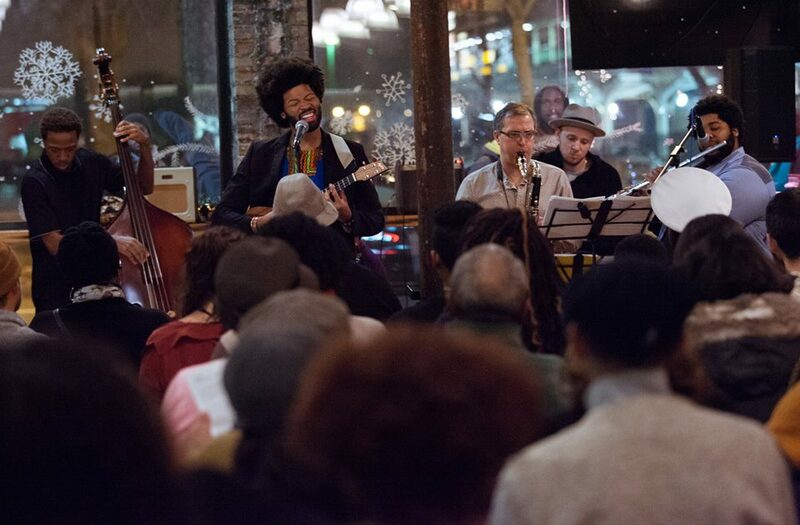 Popular programs such as First Monday Jazz and Vends + Vibes, an annual arts marketplace, attract a dedicated and growing audience from the Washington Park neighborhood and greater Chicago area. In partnership with the Center for the Study of Race, Politics, and Culture (CSRPC), APL’s Artist-in-Residence program has hosted 23 Chicago-based artists whose work examines themes relevant to South Side communities and engage issues of race and ethnicity. APL’s suite of youth education programs cultivates teens’ creative identity, social development, and leadership growth, while inspiring teens to make a positive difference in their community through the arts. All program areas—whether design-build, arts administration, or performance—have a community stewardship and civic engagement focus. Since 2013, in partnership with After School Matters and with the support of several other funders, APL has been able to offer stipends to students that have totaled more than $211,000 and served over 650 area teens from 74 schools, with 93% from neighboring public South Side high schools. 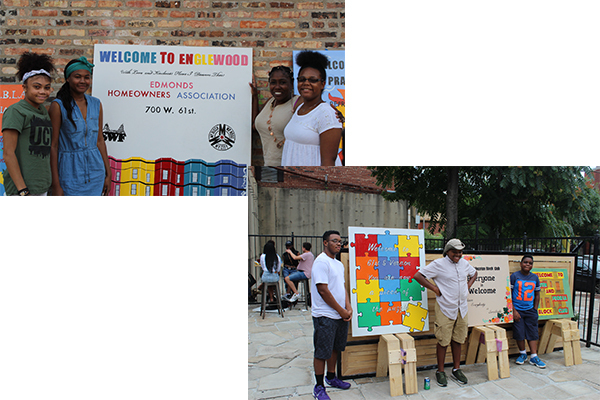 Partnerships such as the one with My Block, My Hood, My City, founded by Jahmal Cole, involved the redesign and construction of block club signs and fostered intergenerational dialogue; block club presidents were the clients. Like many teen participants, Justin Gunn has been involved with a number of APL youth programs. Gunn has been a member of APL’s Teen Arts Council (TAC), a cohort of students who work with university staff and local partners to develop projects at the intersection of arts administration and community engagement. He has also participated in the Community Actors Program (CAP), a six-week apprenticeship focused on social justice and performance, and completed a Teen Leader Internship, which provides administrative support to the other teen arts programs. Gunn is currently a freshman at Tennessee State University. Building on the success of the Arts Incubator, APL is currently developing two new projects that will contribute to the growth of the Arts Block as a creative and cultural destination. With the opening of the Green Line Arts Center this fall, a 70-seat black box theater with rehearsal and performance space will welcome Chicago-based theater artists and companies advancing the opportunities available to performers, companies, and producers who are underrepresented in the Chicago and national arts scenes. The Center will also support arts industry training, cultivating a creative workforce in trades associated with performance-based production and design. In Spring 2019, in partnership with the Chicago Transit Authority, APL will re-open the historic Garfield CTA Station as a Washington Park welcome center that will support creative entrepreneurs with space for small, community-based businesses. 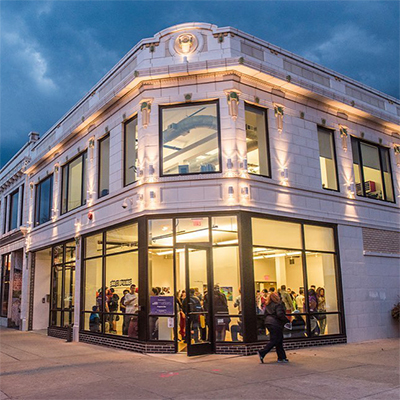 Extending from Prairie Avenue to King Drive on Garfield Boulevard, the Arts Block is a burgeoning creative and cultural destination. APL will continue to coordinate the development of the Arts Block, fostering cohesion among the varied arts practices, cultural spaces, and operating organizations. Since launching his vision for the Arts Block, Gates has cultivated a vibrant team of professionals who have served the artistic, programmatic, and educational ambitions of Arts + Public Life. This spring, Gates, a professor in the Department of Visual Arts and the College (DoVA), will transition into a new position as the Senior Advisor for Cultural Innovation and Advisor to Katherine Baicker, Dean of the University of Chicago Harris School of Public Policy. In this new role, Gates will continue to operate at the intersection of art and policy, providing opportunities for students, faculty, and local communities. Given his new role, Gates will step down as Director of Arts + Public Life but will continue to partner on the Arts Block to build on its success as a catalyst for development in the community. Gates will also serve as a member of the new Arts Block and Arts + Public Life Advisory Committee. Interim leadership for Arts + Public Life will be provided by Bill Michel, Executive Director of UChicago Arts, and Lori Berko, Deputy Director of Arts + Public Life. To learn more about Arts + Public Life and the Arts Block, visit arts.uchicago.edu/apl. Correct Opinions teen exhibition opening at the Arts Incubator, March 24, 2017. Photo: Jean LaChat. First Monday Jazz featuring Sam Trump, January 8, 2018. Photo: Sara Pooley. Design Apprenticeship Program partnership with My Block, My Hood, My City to redesign block club signs. Photos: Veronica Myera.